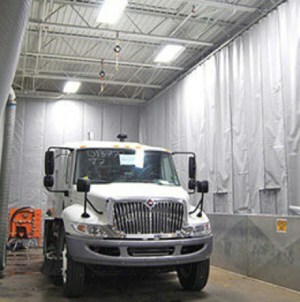 Custom industrial curtain wall solutions to Control Temperature, Absorb Sound or Divide Work Zones within a space. 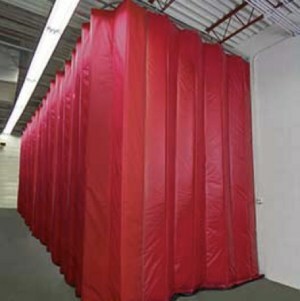 These retractable acoustic curtains are available to reach up to 30 feet in height. 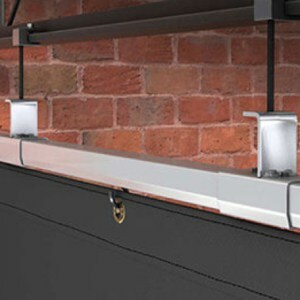 Easily retracted and can be configured to form a complete enclosure. 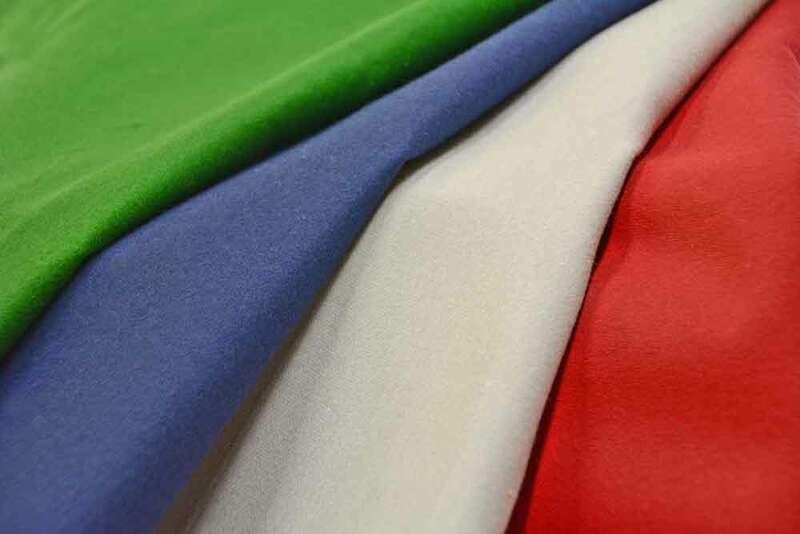 Front side exterior material is available in a cloth fabric which is ideal for Theaters, Music/Dance Studios and more! 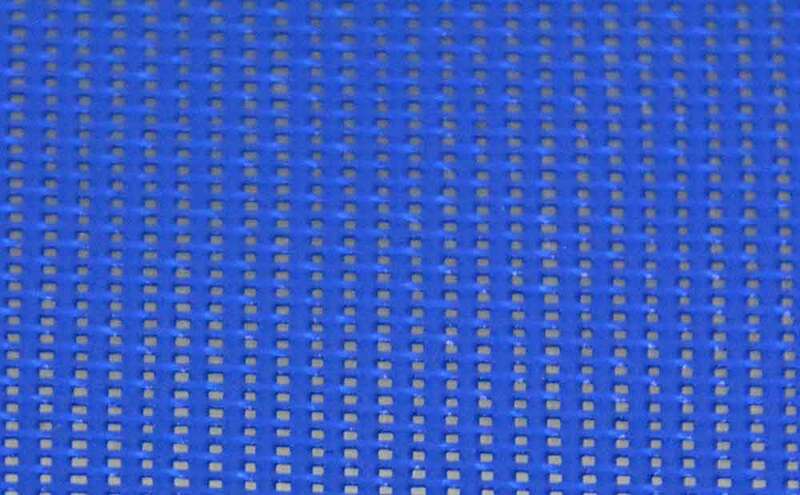 Front side exterior material is available in a Mesh PVC Coated option that makes it ideal for Commercial Spaces and some Industrial applications. 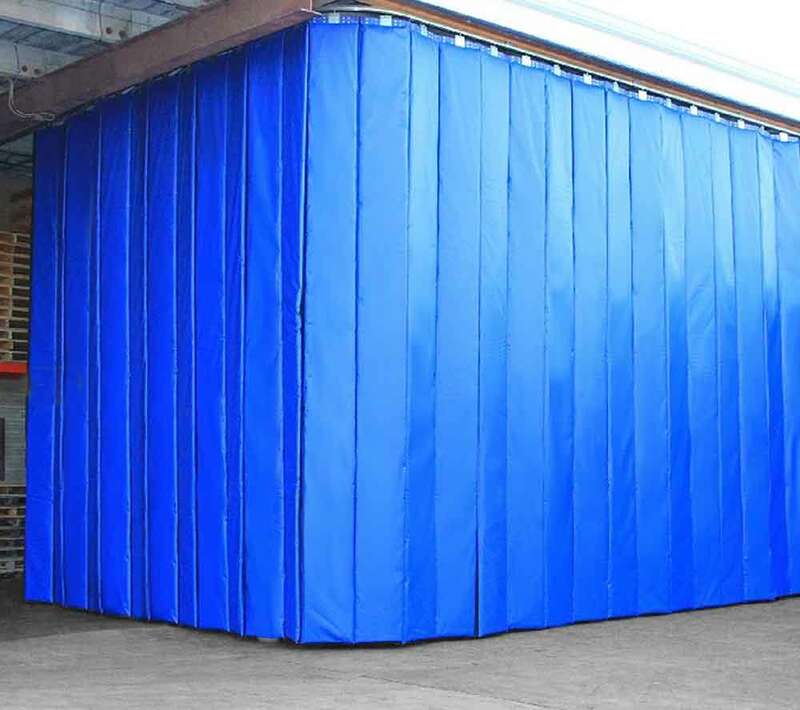 Front side exterior material is available in a durable Solid PVC Polyester which is a perfect solution for Industrial use. 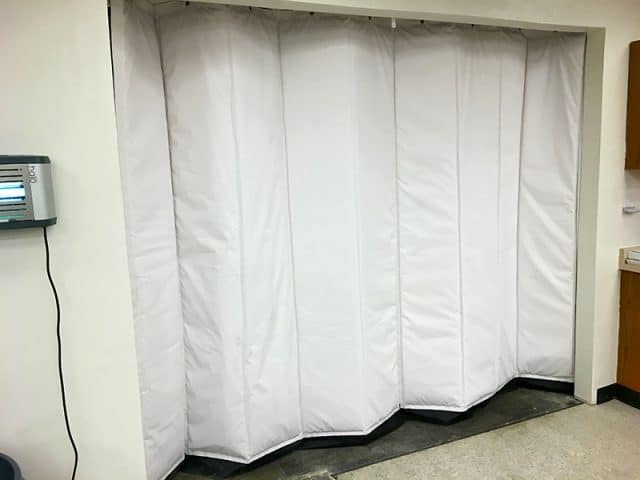 Explore our website to see AmCraft’s full line of industrial curtain products including PVC strip doors, industrial track systems, thermo-block insulated curtains, acoustic curtains, baffles and enclosure solutions. 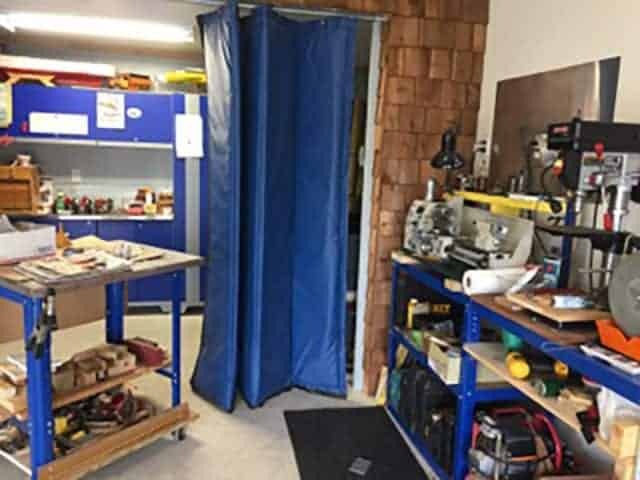 In addition to manufacturing custom curtain products, we offer stock vinyl curtains available in standard sizes along with track systems and hardware to set up your room for most typical applications. 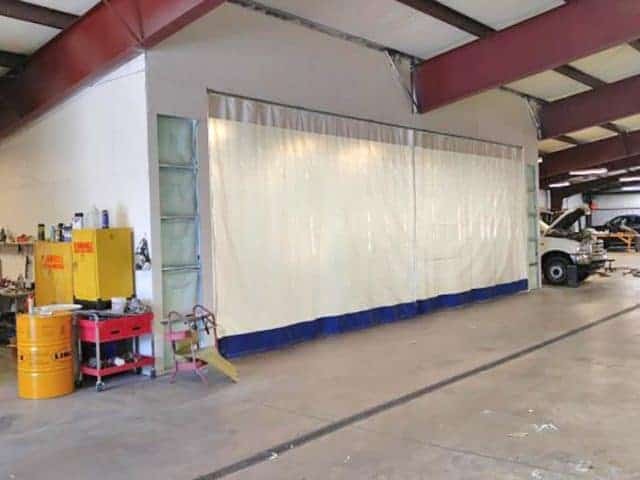 AmCraft Manufacturing specializes in the fabrication of curtain walls and temporary industrial curtain dividers to fit any space for a variety of applications. 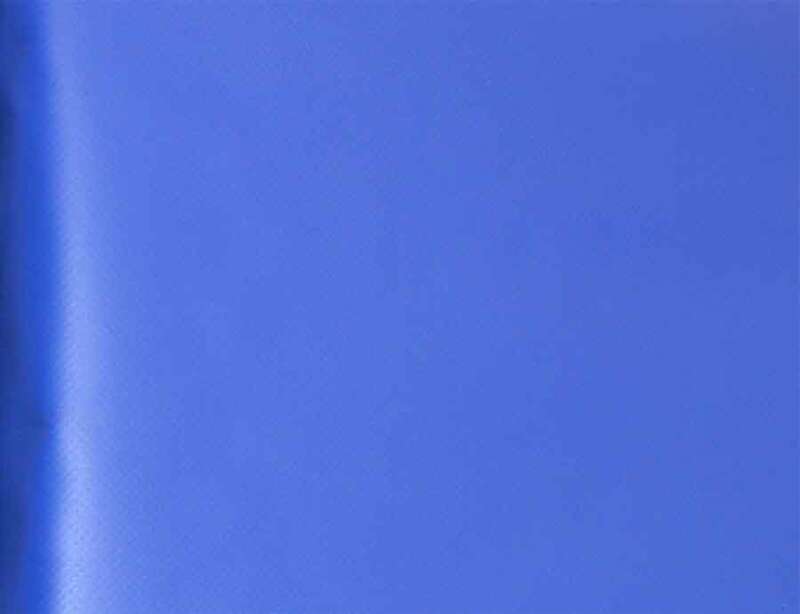 Our selection of products provides containment of odors, sparks, overspray, dust and debris with the added benefit of effectively shielding personnel, equipment and products from the elements. We use only materials that are registered as flame rated and hazmat safe. 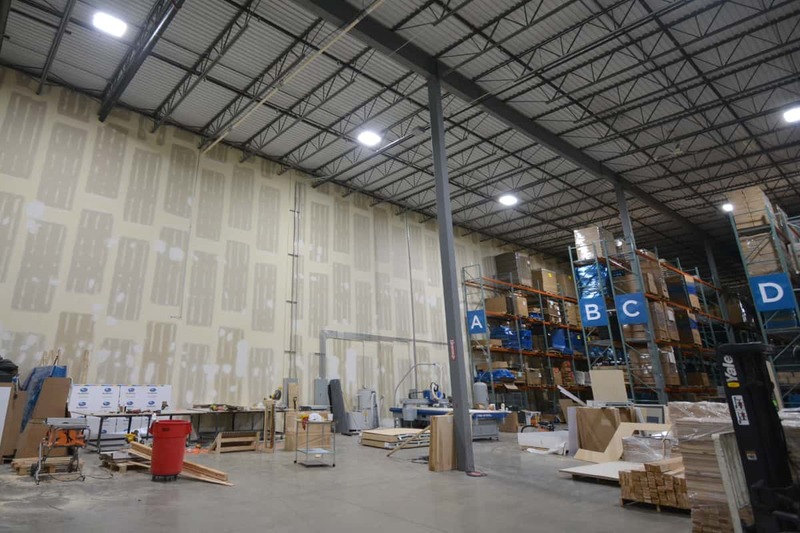 At AmCraft, you can order a full room enclosure (including a ceiling top) or curtain wall system complete with industrial vinyl panels and track systems direct from our manufacturing plant to save time and money. Manufactured by our in-house production team and shipped worldwide from our US based facility. Designed and constructed to fit your size specifications and room configurations. We proudly stand behind our products which are backed by a generous warranty. Speak live with an Industrial Curtain Specialist (Mon-Fri, 7am – 5pm CST). Learn more about AmCraft Manufacturing’s Distributor Program and how to become a curtain wall supplier today. Ready to place your order? 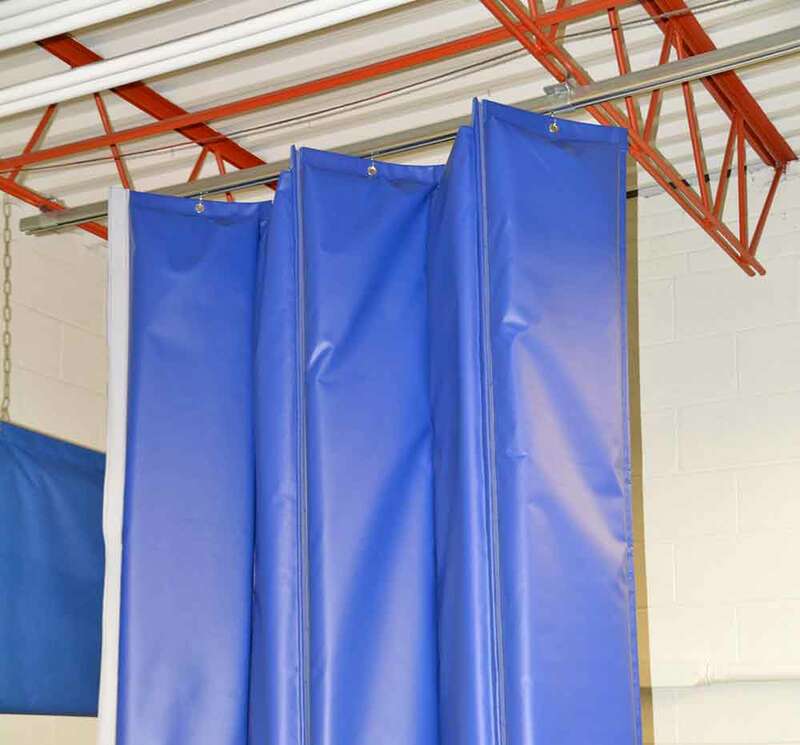 Contact our Industrial Curtain Specialists at 847-439-4565.